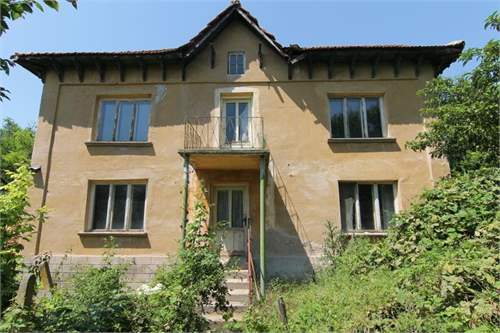 The house is brick built property and a perfect fix up renovation project, and has 2 floors and a living area of 100 m2. It is built on plot size of 1,500 m2 and located in a small village only 5km to the Danube River. The house is brick built property and a perfect fix up renovation project, and has 2 floors and a living area of 100 m2. It is built on plot size of 1,500 m2 and located in a small village only 5km to the Danube River and a short drive away from the town of Lom. The First floor has 2 rooms and a cellar, the second floor has 2 rooms. The garden size is 1,500 m2 and has an additional farm building and fruit trees. There is electricity and water supply to the house which is in good structural condition but needs some renovation. The region is very peaceful and picturesque and the Danube River is only 5 km away. There are also asphalt roads to the property allowing all year easy access.